Contrary to popular belief, kickers aren't very difficult to predict; it's really all about knowing how to leverage Vegas odds. In this article, I'll show you the makings of a valuable kicker, and how to attack the position in both cash games and tournaments. What are the Makings of a Valuable Kicker? Kickers on teams that are favorites are the optimal play, especially when their team is playing at home. A kicker on a team with an implied total of 24 or more is the optimal play. Anything under 24, and diminishing returns begin to set in. As you can see, the relationships between kicker value and Vegas lines are very predictive and straightforward. 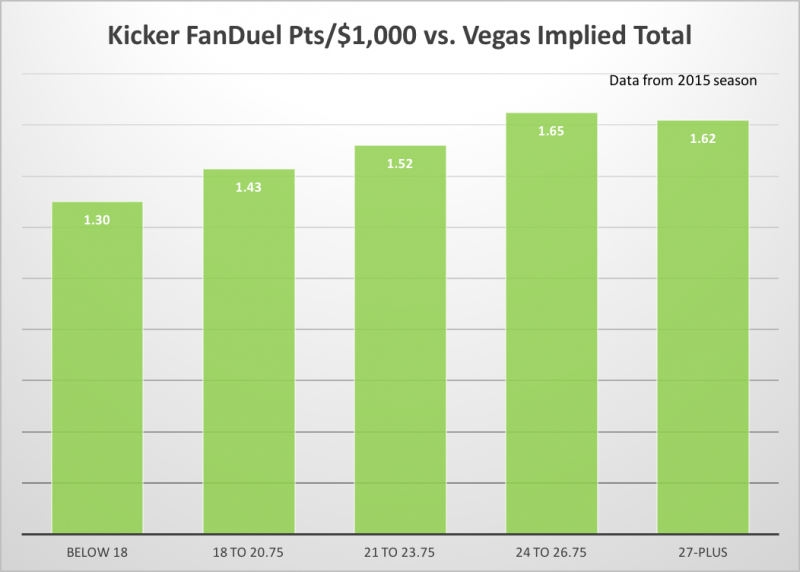 Putting it all together, a cash game viable kicker would ideally be a home favorite with a team total of 24 or above. There was a slight advantage to taking kickers priced $4,900 and above, but the relationship isn't particularly strong to where I would aim for any specific salary range when selecting a kicker. The cheapest option that satisfies the Vegas criteria is usually the optimal play. The median ownership for kickers in winning lineups was under four percent. This makes sense, as ownership tends to be concentrated around a select few kickers that tend to fit in with the week's other highly owned players. 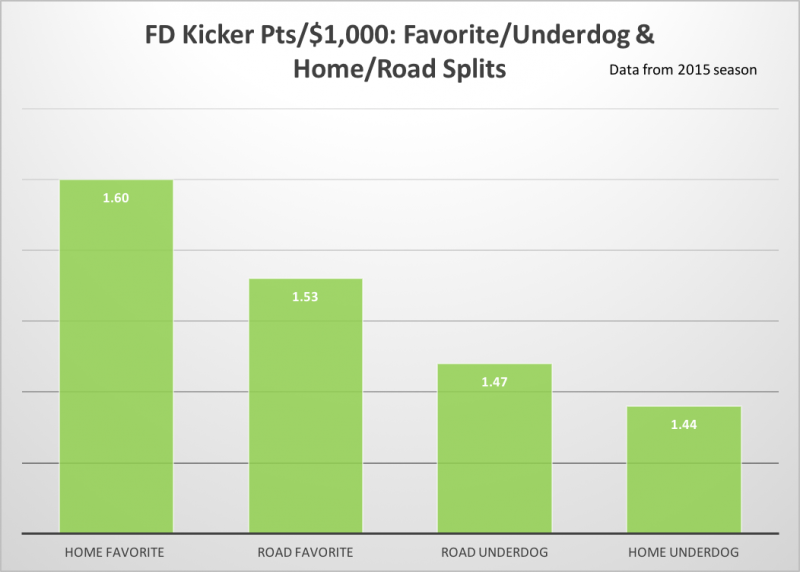 With the strong relationship between favorites and kicker value, half of the kickers on a given slate essentially become viable options in a tournament, so it makes a lot of sense to go with the ones who are unlikely to be highly owned. Target kickers that are favorites, especially when they're playing at home. Target kickers with a team total of 24 and above. Go contrarian at kicker in tournaments. 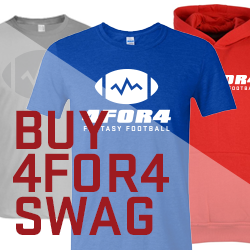 4for4's DFS Subscription has site-specific lineup generators (now with floor/ceiling projections), stack value reports, tons of in-depth content, and more. Sign up here!